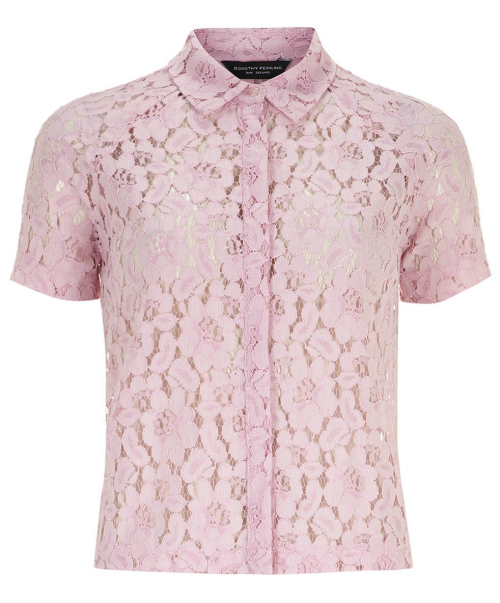 A lace button shirt is a smart way to sport this season’s lace trend at work without having to worry about going too feminine. A stripe tee effortlessly blends into any wardrobe with a tasteful touch of casual attitude. 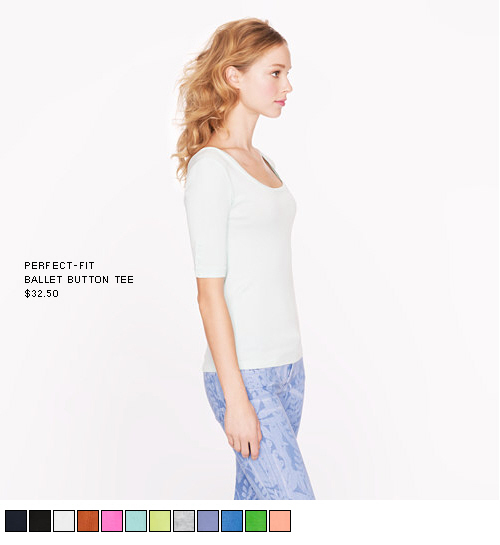 The best part is the shirt comes in 8 colors and you have to love the fact that the shirt is machine washable? 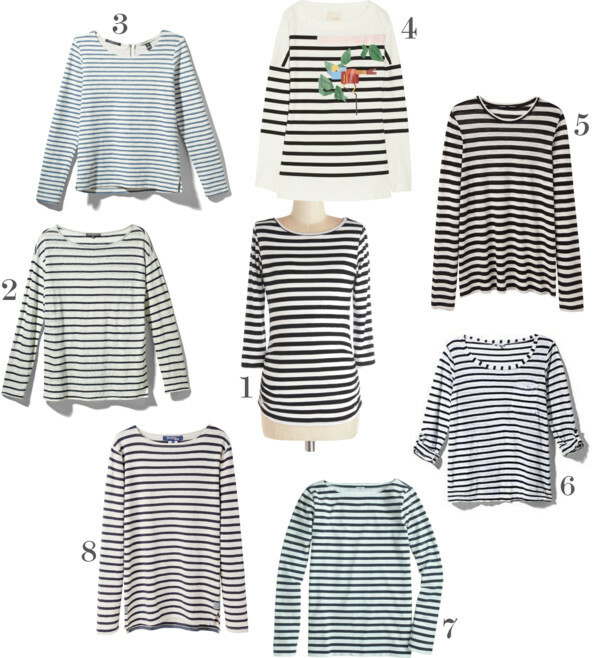 The black-and-white striped shirt is classic and always chic. 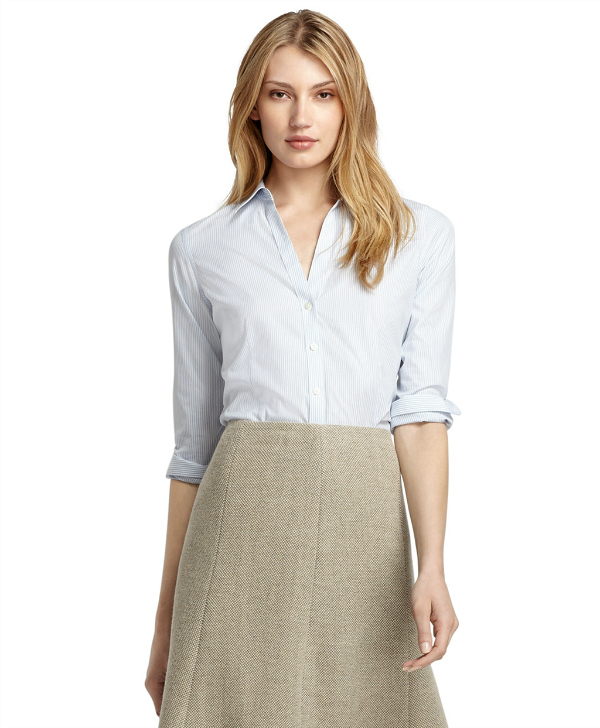 Also, the elastic hem effortlessly sits over whatever you pair it with whether trousers or a pencil skirt. 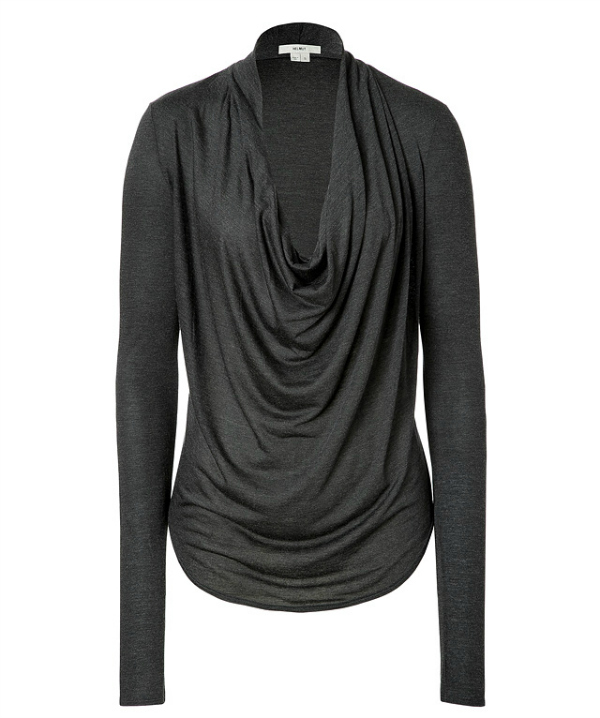 Long sleeved cowl neck tunics have a fabulous combination of comfort, warmth and draped texture. 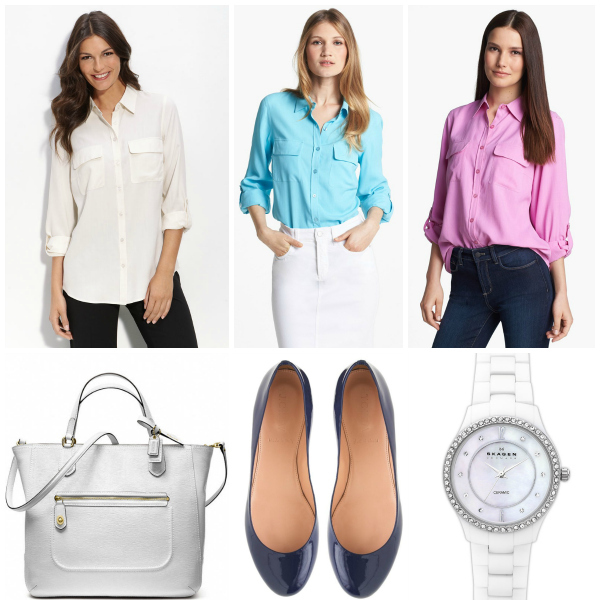 Non-iron shirts are not only convenient but also cost-effective in terms of time and labor. Roll-tab sleeves make for an easy transition from season to season, from your weekday officewear to a weekend wardrobe piece. Like many of you, I hesitate paying a hefty price for a basic top, yet I want a good quality tee that will last more than just several wears.